When you get an allergic reaction, it means your immune system is attacking otherwise harmless substances. Your immune system releases antibodies that can produce symptoms such as sneezing, watering eyes, etc. Sometimes, the reaction can be quite severe – it is more common in case of a food allergy. People take medications to resolve those allergy symptoms, but those medications can disrupt the natural processes and pH balance in your body. Overtime, you will become more dependent on those medications to alleviate the symptoms. Therefore, it makes great sense to look for natural remedies to keep your immune system from responding to allergens. Using apple cider vinegar for allergies is a great choice, and is definitely a better option than taking toxic pharmaceuticals. 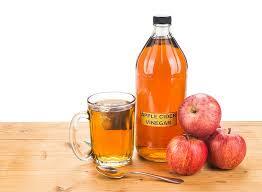 Apple cider vinegar is a great natural remedy for several medication conditions. Regular use of organic raw apple cider vinegar may help boost your immunity, control weight, and improve your skin and hair. The benefits come from the fact that apple cider vinegar (ACV) promotes alkalinity and helps maintain pH balance in the body. Apple cider vinegar for allergies is an impressive choice also because it contains a number of beneficial compounds, such as malic acid, acetic acid, vitamin B6, vitamin A, vitamin C, and more. These nutrients help maintain the body's natural pH balance to prevent allergies and seasonal disorders. Add a teaspoon of honey and a teaspoon of ACV to 8oz of warm water and drink it twice a day, once in the morning and again in the evening. Mix "The Mother" and a teaspoon of ACV into a glass of water and have this thrice a day. Mix a tablespoon of freshly squeezed lemon juice and a tablespoon of ACV in half tablespoon of raw bees honey and have it thrice a day. While apple cider vinegar is really effective, it may take a few weeks to see any change in your health. Just be patient and continue drinking your ACV tonic until it restores the pH balance. To make apple cider vinegar work for allergies, you need to get organic vinegar only. Look for organic vinegar with the "mother" in it. Raw ACV is unheated, unpasteurized, unfiltered, and 5% acidity. The "Mother of Vinegar" is a combination of protein molecules – they are actually living enzymes that help fight off infection and restore your body's natural balance. You should opt for the one with a dark cloudy substance on top – it means the mother contains all-important nutrients. While apple cider vinegar for allergies is a great option, you can also find other natural remedies to treat your allergy symptoms. For starters, you need to pay attention to your diet. Pay attention to what you eat and how your body reacts to it. Be sure to get plenty of fresh air and drink plenty of water daily. Eating right stuff and caring for your body in a more natural way provide it with enough power to repair itself and restore its balance. Garlic has antibiotic properties and works amazingly well to treat infections. It is equally beneficial against viral infections and allergies. 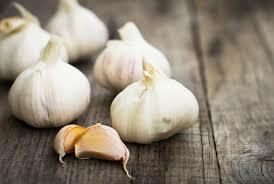 You just need to juice or eat two raw cloves of garlic to prevent allergies. You may also find garlic supplements – people opt for supplements because they cannot tolerate the smell of garlic. Supplements are good but they are not nearly as effective as the real herb is. Therefore, you will be better off eating raw garlic that boosts your immunity and improves your respiratory system. You need to keep your body in an alkaline state to prevent certain disease and allergies. 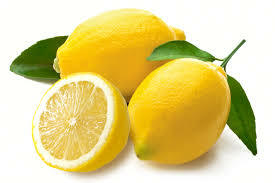 Lemons and limes really help achieve that balance and prevent allergies by boosting your immune system. Vitamin C in lemons has immune-boosting properties and you can get these antioxidants simply by drinking a glass of lemon water daily. Just avoid lemonades and lemon water made with refined sugar because they may cause infections, allergies, weight gain, etc. Opt for the pure lemon water or simply add some olive oil to the juice of two lemons and mix it in your salads and veggie sandwiches. 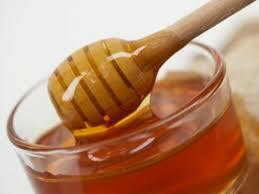 Bee pollen in raw honey gives it the power to ward off allergies and infections. It also boosts your immune system and works great if you have seasonal allergies. You may be allergic to pollen, and the raw honey contains that pollen as well, but eating it in that form helps build up your immunity. Naturopaths also recommend bee sting therapy to boost immunity – they believe that venom or bee sting therapy helps treat conditions such as fibromyalgia, multiple sclerosis, chronic pain, arthritis, and rheumatic conditions. 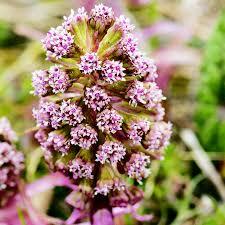 Studies show that a tablet of butterbur taken four times a day may help control symptoms of hay fever. It may help prevent symptom of drowsiness as well. Some studies have also found that butterbur also works great in relieving symptoms of grass allergies. Butterbur, a leafy green plan, has been used for generations to treat stomach ulcers, migraine headaches, coughs, asthma, and allergies. You can also find it in teas, extracts, capsules, and tablets, but using it in its natural firm works best.